Home OPPO Find X pakistan expensive mobile phone pakistan mobile tech tech news Oppo Find X Be The Most Expensive Smartphone In Pakistan? Oppo Find X Be The Most Expensive Smartphone In Pakistan? The Chinese selfie expert Oppo has launched its flagship Oppo Find X around two weeks ago and it has become a huge hit in the international mobile market. The Phone is expected to launch in Pakistan at the end of July. It is rumoured to be the most expensive phone with the price tag of Rs. 150,000 as the company calls it the premium handset. The Oppo Find X comes with Qualcomm’s Snapdragon 845 chipset, which is the current flagship of the American chip manufacturer. The SD845 is present in only a handful of smartphones as of now and that too exclusively in flagships. As an example, the Galaxy S9 has it along with the OnePlus 6. 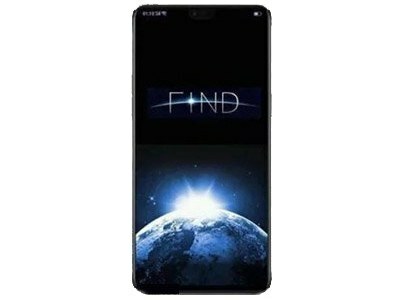 Additionally, the Find X is equipped with 8 GB RAM which makes it one of the very few smartphones currently available in the market to boast such a significant amount of RAM. However, some users have come out and spoken against the company’s step to introduce 8 GB RAM, asking them to spend on improving their User Interface instead. The phone has 256 GB internal storage space which itself is sufficient for daily, average usage. It can be safely said that users can store hundreds, if not thousands of movies along with a significant number of games on their phones without the fear of running out of storage. The company has made a revolutionary device by reducing the edges and the top bezel (without a notch) to an almost unnoticeable size.